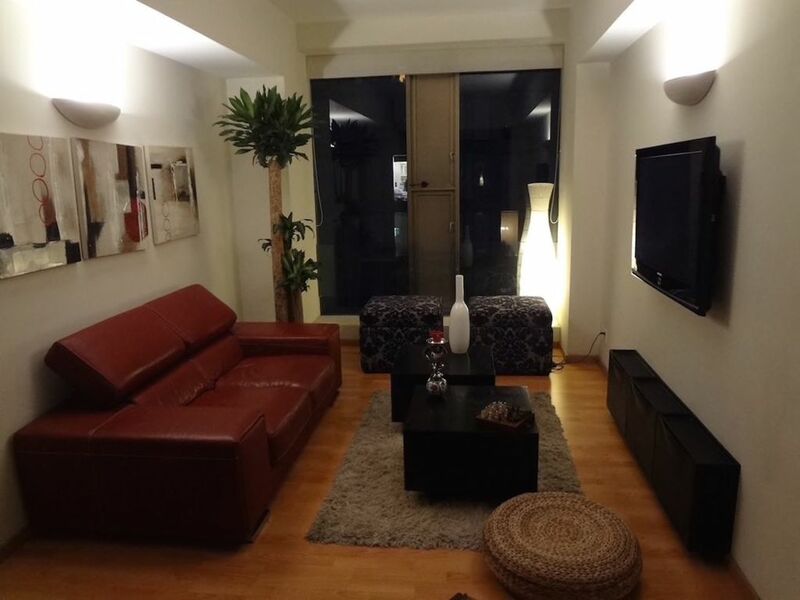 Very Nice apartment in the heart of the City Center. The list of museums and historical places is endless. Only in historical district (centro historico) you could be one week visiting museum after museum without finishing. I.-ABOUT THE BUILDING: - 24x7 doorman and security personnel - Fully equipped gym with personal trainer - Four lobby areas, all with Wi-Fi - Children Playground - Indoor pool (best suited for laps) - Outdoor garden - Roof garden - A small movie theatre that you can reserve - Two Business Centers that you can reserve - Laundry and Cleaner Service. Official ID required to access the apartment. II.-ABOUT THE AREA The apartment is a new award winning building project form 2006, this complex is part of a re-development area that includes the Hilton Hotel, The Ministry of Foreign Affairs, the Tolerance Museum and the Alameda Shopping and Restaurant Plaza. The building is half block away from the Alameda Park, that was deeply renovated and re-opened last February 2013. Going west, 5 blocks away, Reforma Avenue can be reached, with Hotels, Banks, restaurants an corporate buildings. With a stop nearby, you can take the double-decker bus service that makes a circuit form the Historic Center, Reforma, Chapultepec Park and into trendy neighborhoods, like Condesa, Roma and Polanco. Going east, 4 blocks away visitor can experience Mexico´s Past by touring the Historic District, known of it´s beautiful buildings from 17th, 18tn and 19th century, the Opera House (Bellas Artes), the Central Plaza (Zócalo) with its Cathedral, and the Aztec Arqueological Site and museum (Templo Mayor). Also the Madero Pedestrian Street with the Sanborns de los Azulejos Building, the Torre Latinoamericana. The amount of museums and historic places is endless. Also at a short walk you can go to Palacio de HIerro, Liverpool and Sears department stores.